In the last hearing, CBI Director Alok Verma told the Delhi High Court that all mandatory procedures of law were followed while registering the FIR against Asthana. New Delhi: The Delhi High Court will on Thursday hear the case pertaining to quashing of the FIR against CBI special director Rakesh Asthana. 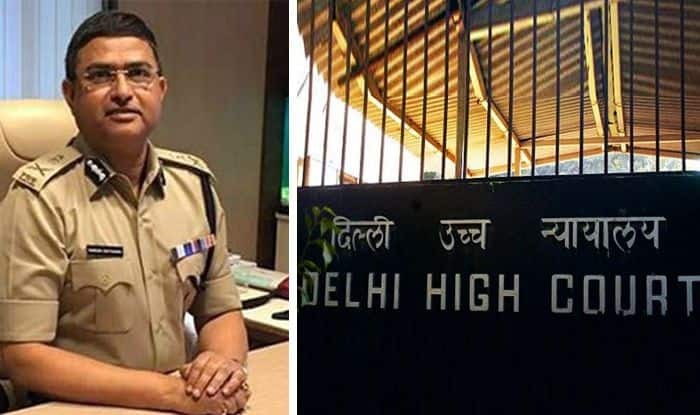 In the last hearing, CBI Director Alok Verma told the Delhi High Court that all mandatory procedures of law were followed while registering an FIR against Special Director Rakesh Asthana on bribery allegations. On the other hand, Asthana’s counsel submitted before Justice Najmi Waziri that he was maliciously harassed and there was no evidence against him. He added that the CBI did not take sanction from the Central government before lodging of the FIR against Asthana as mandated under Section 17A of the Prevention of Corruption (PC) Act. Senior advocate Amrendra Sharan, appearing for Asthana, argued that the FIR was antedated and it reached the magistrate 52 hours after registration, whereas, as per law it should be placed before the magistrate within 24 hours. He contended that there was no allegation of demand and acceptance of illegal gratification against Asthana and he cannot be made an accused for the alleged offence under the PC Act. CBI counsel DSP Devender Kumar, also an accused in the case, adopted the arguments advanced by Asthana’s advocate. On the issue of prior sanction to prosecute a public servant, senior advocate Amit Sibal, appearing for Verma, argued that Section 17A of the PC Act will never cover the misconduct of accepting bribe by a government official, as alleged in this case. He added that the statute does not protect a government official for demanding or accepting bribe. He said seeking or accepting bribe in discharge of official duties by government officials has been castigated in various judgements by the courts. Verma, in his affidavit filed in response to Asthana’s petition, has said that Additional Solicitor General (ASG) P S Narasimha’s view was sought by the CBI on the need for prior government approval to lodge an FIR against public servants facing allegations of corruption and he had opined that it was not required. ASG Maninder Acharya, appearing for the Centre, said that ordinarily it is required to take prior sanction to prosecute a public servant but as this matter was not referred or brought before the government, she cannot say anything. The court also extended till the next date its interim order directing the CBI to maintain status quo regarding proceedings against Asthana. Kumar was granted bail on October 31. Verma has said in the affidavit there was sufficient incriminating documents and evidence against all accused — Asthana, Kumar and middleman Manoj Prasad — with the CBI and the FIR was lodged after the PE disclosed cognisable offences. It has claimed that Asthana’s plea is misconceived, premature and not maintainable as investigation in the matter is at a nascent stage. When Asthana’s counsel said the probe agency had not registered a preliminary enquiry before lodging of the FIR, CBI advocate Rajdipa Behura said the CBI manual does not say that PE has to be registered mandatorily and it says that it could be registered. ASG Vikramjit Banerjee, representing the CBI, said he was not aware of it. The Supreme Court had reserved judgement on Verma’s plea, challenging the Centre’s decision to divest him of all powers and sending him on leave. Kumar, earlier the investigating officer in a case involving meat exporter Moin Qureshi, was arrested on the allegations of forgery in recording the statement of businessman and complainant Sathish Babu Sana who had alleged to have paid bribe to get relief in the case. Sana had also made allegations of corruption, extortion, high-handedness and serious malpractices against Asthana. Sana, on whose complaint the FIR was lodged, has also approached the high court seeking to be heard as a party in the matter. Additional Superintendent of Police S S Gurm has also filed a similar plea in the court to be impleaded as a party. The court is yet to decide both the pleas.